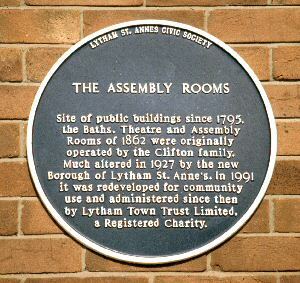 The Assembly Rooms were created as part of the development of Lytham Baths after its closure in 1987. The major part of the building was converted into an apartment block, but the local Council arranged retention and refurbishment of the premises fronting Dicconson Terrace for the use of the people of the Borough. There are two rooms for hire and a well equipped kitchen. The upper floor is let commercially, to provide supporting income. A number of individuals, including representatives of local organisations, had been involved in discussions on how buildings in Lytham could be retained and developed, particularly because of the possible demolition of the Baths. They eventually agreed on the setting up of Lytham Town Trust. 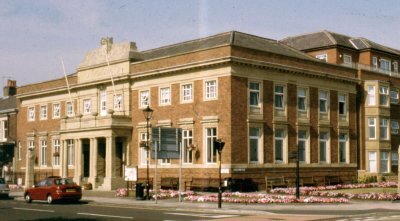 The Council then granted a lease to the Trust to enable it to manage and operate the Assembly Rooms. The Trust took charge of the building on 1st January 1991. In 1997 the Trust became owners of Lytham Hall, with the Heritage Trust for the North West taking over the management of the Hall in 1998. The Lytham Hall estate was the property of the Clifton family from 1606 until 1963, when it was bought by Guardian Royal Exchange. Part of the estate was developed for housing and the Hall was refurbished and used by GRE for offices and as a training centre. In 1996 the Hall, in about 80 acres remaining of the estate, was put up for sale. 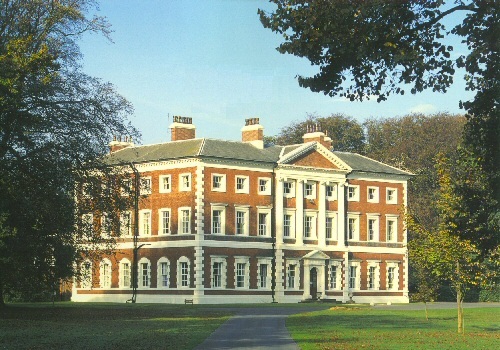 Lytham Town Trust opened negotiations with Guardian, and the Friends of Lytham Hall was formed to provide support and to assist in fund raising. The purchase was assured when British Aerospace made a very generous donation, and ownership was transferred to the Trust on 17th Februry 1997. In 1998, the Heritage Trust for the North West took over management of the Hall, on a 99-year lease. The West Wing has been developed as a function suite and a successful application was made to the Heritage Lottery Fund to support a major refurbishment. More information can be obtained from other local charity organisations involved in supporting the community. Heritage Trust for the North West - manages a number of properties, including Lytham Hall. Friends of Lytham Hall - raises funds for capital projects at the Hall and provides volunteers for various activities. Lytham Heritage Group - collects and preserves historical documents relating to the town, owns and manages the Heritage Centre, with monthly exhibitions throughout the year, and organises and mans the Windmill Museum in the summer months.